At a three hour meeting tonight at the headquarters of the TSSA, Jackie Walker – a Black/Jewish anti-racist, was removed as Vice Chair of Momentum despite the overwhelming support she has received from the rank and file of Momentum. The vote was 7-3. 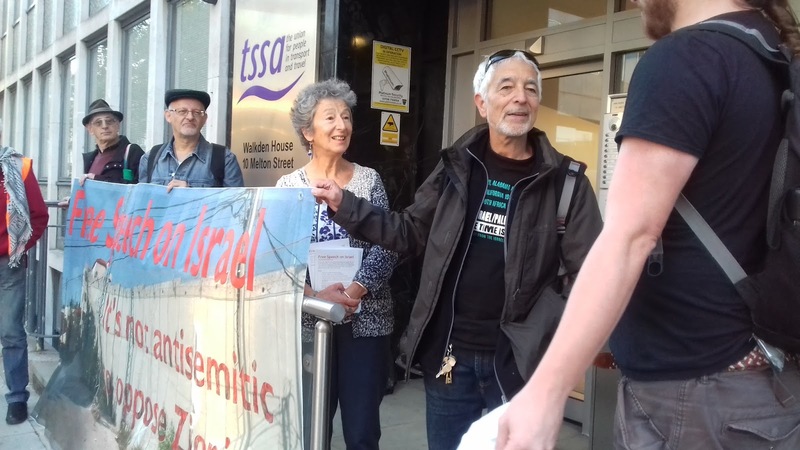 The 8 elected members of the Steering Committee are Jon Lansman, as Chair, Jackie Walker, who was not present, Michael Chessum, Treasurer, Christine Shawcroft, Marshajane Thompson, Jill Mountford, Sam Wheeler, Cecile Wright. In addition there is also Matt Wrack of the FBU and Sam Tarry of TSSA. Those voting for removing Jackie included Lansman, the 2 Alliance for Worker’s Liberty members, Chessum and Mountford and it is believed 2 other AWL ‘sleepers’ on the committee, Christine Shawcroft, who is a member of the other Labour Briefing which split acrimoniously some years ago and Sam Tarry. Matt Wrack is known to have voted to support Jackie. We are joined by a UCU picket! Lansman, who personally ‘owns’ Momentum as its sole Director, used the 4 votes of the AWL members present to pass the resolution witch-hunting Jackie Walker. The irony of those on the receiving end of the witch hunt, for it was only a few weeks ago that Owen Smith condemned the ‘anti-Semites’ of the AWL entryists, voting to engage in a witch hunter of their own is a combination of deviant political psychology and naked sectarianism. In a statement issued afterwards it was confirmed that Jackie Walker remains a member of the Steering Committee. It is a statement full of weasel words. It accepts that nothing Jackie said ‘taken individually’ was anti-Semitic (though leaving open the interpretation that they might be taken as a whole. But they were nonetheless ‘ill informed, ill judged and offensive’. These are of course subjective adjectives and in this case they are best applied to the statement itself. What Jackie said about Holocaust Memorial Day not including all other holocausts, in particular those affecting Africans, is simply true. As 16 Jewish members of the Labour Party wrote, in a letter to Jon Lansman no less than Yehuda Bauer, Professor of Holocaust Studies at the Hebrew University, Jerusalem (albeit an extremely mediocre historian) argued, in a debate with the late Dr Sybil Milton, Senior Historian at the US Holocaust Memorial Museum that ‘the Nazis only attempted to annihilate one people, the Jews: Roma were not Jews, therefore there was no need to murder all of them.’ According to Bauer, ‘the Holocaust is very much a unique case.’ [“Gypsies and the Holocaust” Yehuda Bauer; Sybil Milton The History Teacher, Vol. 25, (Aug., 1992)]. This is an article of faith for Zionism. To Zionists the Holocaust was a Jewish only affair from which the Gypsies and Disabled are excluded. The late Elie Wiesel said that to compare the sufferings of others with Jews was a “betrayal of Jewish history”. [Against Silence, v. iii, 146.] Lucy Dawidowicz, a well known holocaust historian and right-wing Zionist, held that ‘subsuming Jewish losses under a universal or ecumenical classification is to effectively justify anti-Semitism.’ The truth may be uncomfortable but it is not anti-Semitic. Telling the truth however, according to Lansman’s weasel words is ‘offensive and ill-judged.’ If Lansman and the 6 who voted with him possessed anything resembling an intellect, they would appreciate that the right to offend and be offensive is the very essence of free speech. Politicians who curtail their language for the sake of not giving offence are being dishonest. 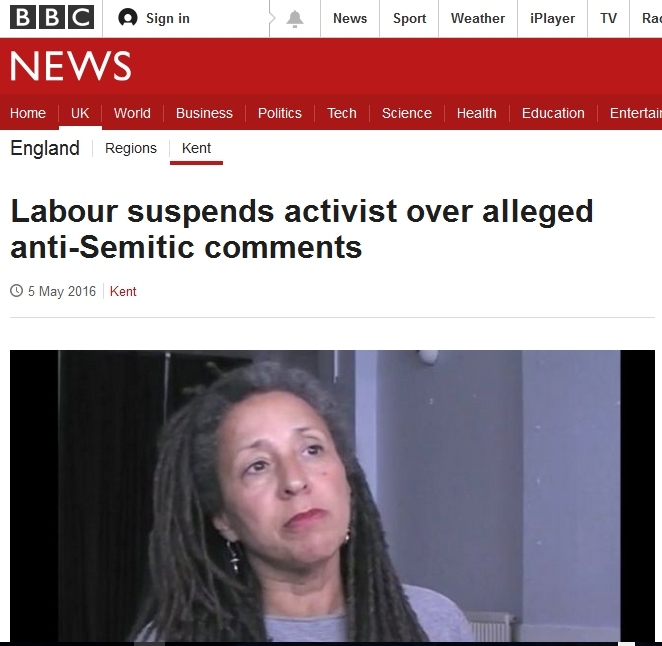 The charge of being ‘ill-informed’ applies to the dirty seven not Jackie Walker. Far from Jackie being ill-informed it was Lansman and company who were guilty of that sin. But since we had already been sent our letter, before the meeting and given the assurance of James Schneider to us that the all members of the Committee would be made aware of the letter, then the seven cannot be accused of being ill-informed. They were liars employing verbal subterfuges. What is most outrageous about the statement is that although it calls for Jackie not to be expelled, it says nothing about lifting her suspension. In practice even this token call for Jackie not to be expelled has to be seen in the light of the Steering Committee’s removal of Jackie as Vice Chair. In essence the SC has given a green light for her expulsion. The Alliance for Workers Liberty, because of its support for Zionism, Israel and the Jewish Labour Movement, has gone along with Jackie’s removal as Vice Chair. As such they have behaved as political scabs, giving de facto support to her expulsion. This from a so-called Trotskyist organisation. Momentum supporters throughout the country should draw the conclusion that AWL members cannot be trusted to fight against the witch-hunt and their Campaign Against the Purge is a self-serving organisation devoted primarily to saving their own skins. It should be avoided like the plague. 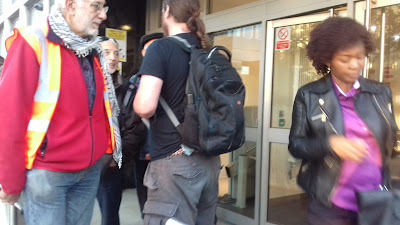 Perhaps the most outrageous aspect of the fitting up of Jackie Walker, because in reality when she went to the JLM’s training event at Labour Party conference she was walking into a honey trap, is that the whole affair was secretly filmed and the video footage was immediately handed to the media. What kind of ‘training event’ is it that passes film of an event to the media in order that they can attack the participants for what they have said? Only someone like liar Jeremy Newmark, who is the political equivalent of a semi-house trained polecat. The very fact that the JLM had been allowed to run a ‘training event’ on anti-Semitism when it is a racist organisation which makes a speciality of accusing anti-Zionists of ‘anti-Semitism’ is outrageous. Having the JLM run an anti-racist course is like having a serial wife batter placed in charge of a women’s refuge or having Nick Griffin of the BNP placed in charge of a course in muli-culturalism. On reflection, and having gauged the range of feelings within the Party, it is not my view that narrow anti-racism training programmes are what is required. There is a grave danger that such an approach would seem patronising or otherwise insulting rather than truly empowering and enriching for those taking part. 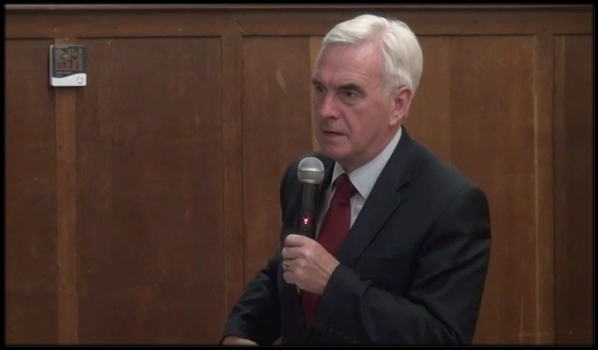 Before the meeting we heard that Ronnie Draper, President of the Bakers Union, who was himself suspended by Iain McNicol, the Labour Party’s General Secretary in the run-up to the vote, had come out against the removal of Jackie as had Matt Wrack. This led some of us to think that Momentum might be reconsidering its decision but it is clear that Lansman has invested too much in appeasing the right to back down now. On Sunday in the Observer, Lansman squashed calls to elect a new Deputy Leader, thus giving his support to Tom Watson and he also opposed moves to deselect the Right of the PLP. 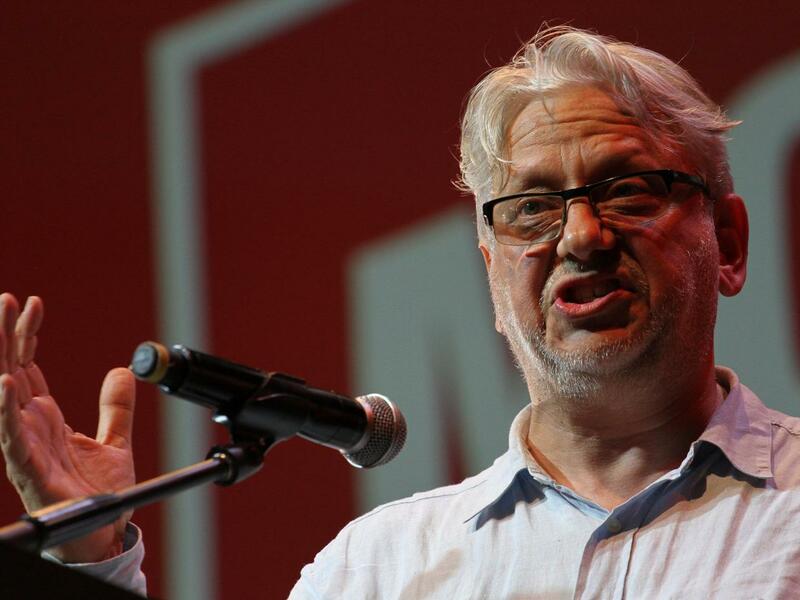 It is clear that Lansman’s ‘strategy’ if one can call it that is one of naked appeasement of the Right and a determination that Momentum will be kept in check, a stage army, that will not be allowed to develop a life of its own or become a genuinely democratic organisation. It is though essential that Momentum members do not resign because of the machinations of Lansman. Instead we should organise to ensure that, despite the wishes of Lansman, Momentum does become the property of its members rather than a self-selected elite. The major campaign now within Momentum must be for the democratisation of the organisation. It’s national conference should be brought forward from next February. It is incumbent upon us to ensure that in future, the Steering Committee is directly elected, or at least the officers are directly elected by Momentum Conference itself. 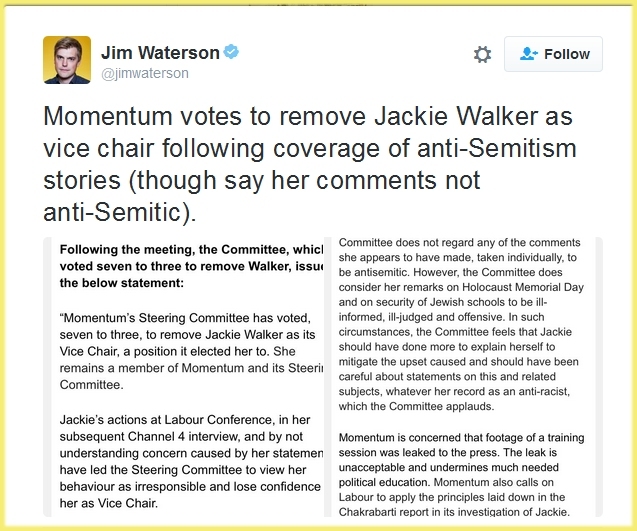 Lansman made it clear in the run up to the removal of Jackie Walker that he was in the business of appeasing the Jewish Labour Movement. This group is the British branch of the Israeli Labour Party. 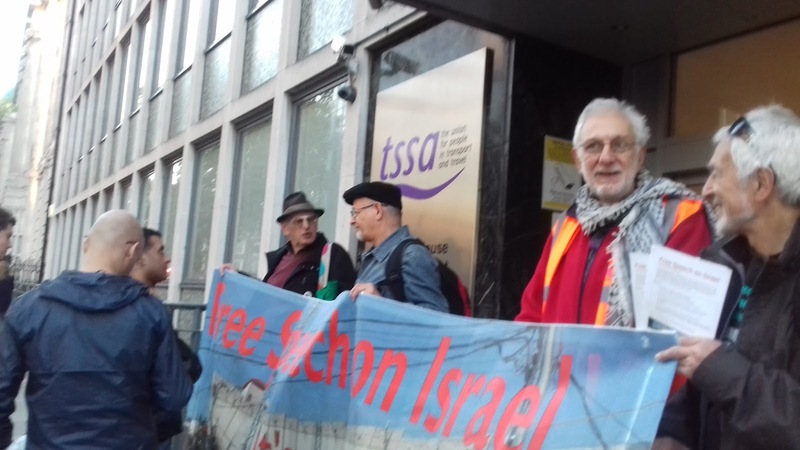 Its new Director Ella Rose comes directly from the Israeli Embassy and Jeremy Newmark, its Chair has openly said that it would be ‘rather odd” to suggest that the organization should have no contact with the embassy.’ Most people consider that working with the Israeli Embassy is odd. In short the JLM is effectively an emanation of the Israeli state within the Labour Party. This is an anomalous situation that cannot be allowed to continue. One may as well give the CIA special rights of representation at Conference. The JLM does not represent Jewish members of the Labour Party but only the most right-wing Zionist members. 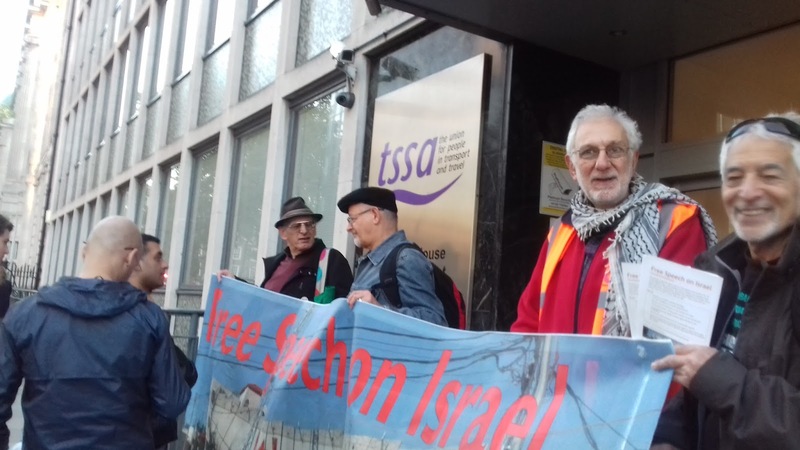 I am pleased to say that members of Jews for Boycotting Israeli Goods, International Jewish Anti-Zionist Network and Free Speech on Israel picketed the headquarter of TSSA, where Momentum were meeting and we understand that this seriously rattled the Steering Committee. Being forced to face the membership is not something that property developer Jon Lansman finds at all attractive or appealing. This whole episode smacks of treachery. 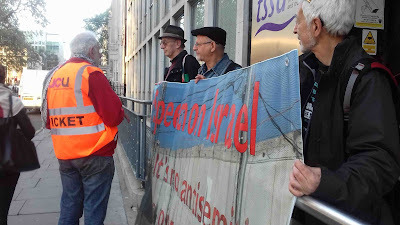 For months now Zionist organisations have been out to get Jackie. She has been subjected to unbelieveable amounts of racist abuse on Twitter and elsewhere. I have previously described what was happening to her as a form of political lynching and race baiting. 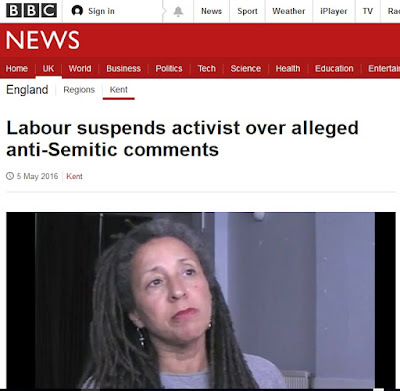 [The Jewish Labour Movement and its Political Lynching of Jackie Walker] Zionists openly proclaimed that being Black Jackie could not be Jewish. 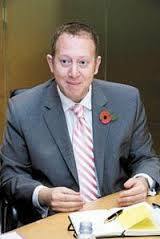 Rather than condemning the vile outbursts of his supporters, Jeremy Newmark of JLM gave them the green light. Now it would appear Jon Lansman and the majority of the Momentum Steering Committee, including the Alliance for Workers Liberty, have also endorsed this racist filth.